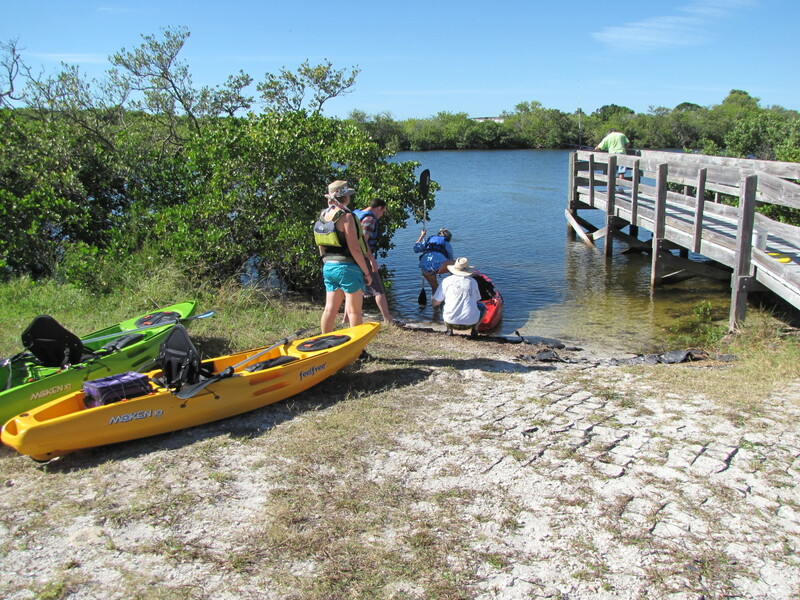 If you’re looking for a great outdoor adventure on your next trip to the west coast of Florida check out Paddling Adventures Kayak and Canoe trips down the Weeki Wachee River. Located about an hour north of Tampa, the Weeki Wachee River is a spring fed river that meanders its way into the Gulf of Mexico. The first thing you will notice about the Weeki Wachee River is the crystal clear water that allows one to view the many species of fish that call the river home. The trip covers 5.5 miles of the river and ends at the pick up point in Rogers Park. Along the way you are apt to see a wide variety of wildlife including Bald Eagles and Manatee. 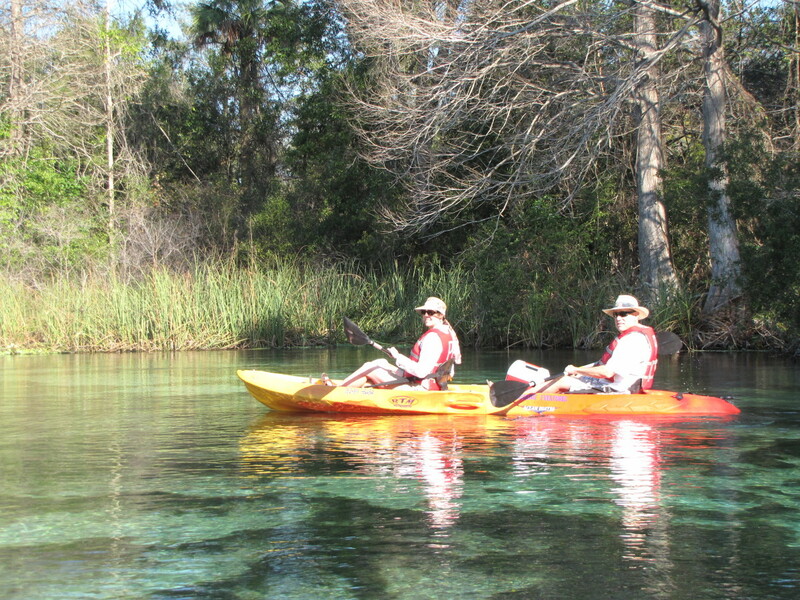 The Weeki Wachee River actually covers twelve miles from its source at the Weeki Wachee Springs to the Gulf of Mexico. The spring feeds over one hundred million gallons of 74-degree water every day from a subterranean cavern that is so deep that the bottom has never been reached. Paddling Adventures is located at the junction of routes 19 and 50 and is easy to find. 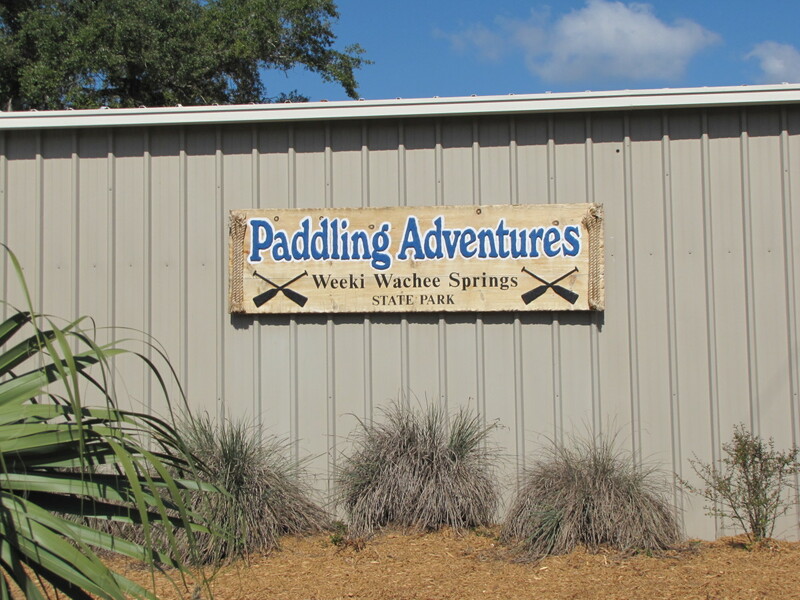 Located at the Weeki Wachee Springs State Park the folks at Paddling Adventures will have you heading down the river in no time at all. 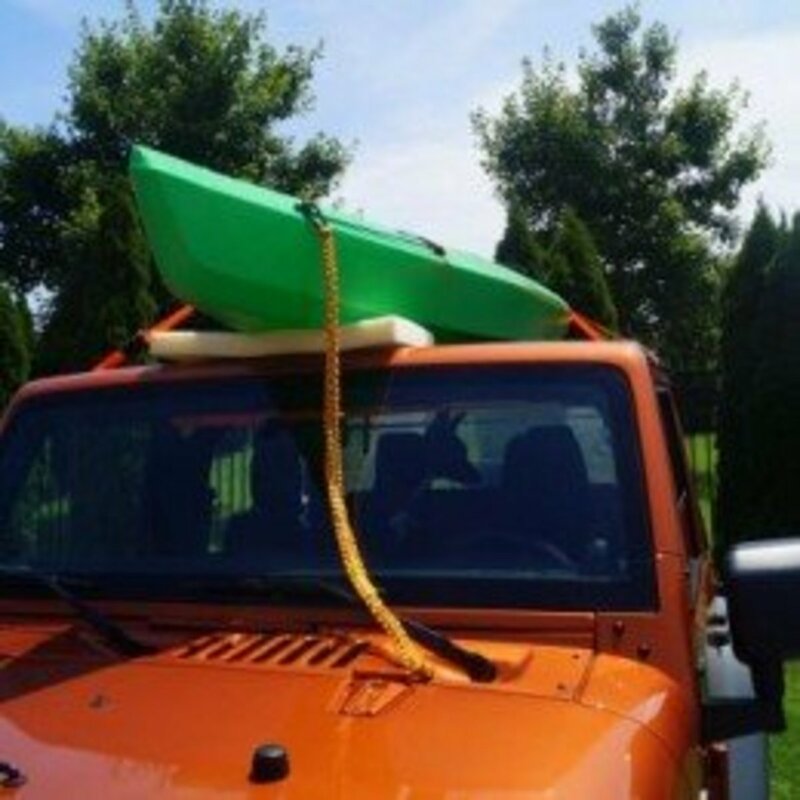 Rent a single or double kayak or canoe, grab your paddle and life vest, and you are ready in a matter of minutes. 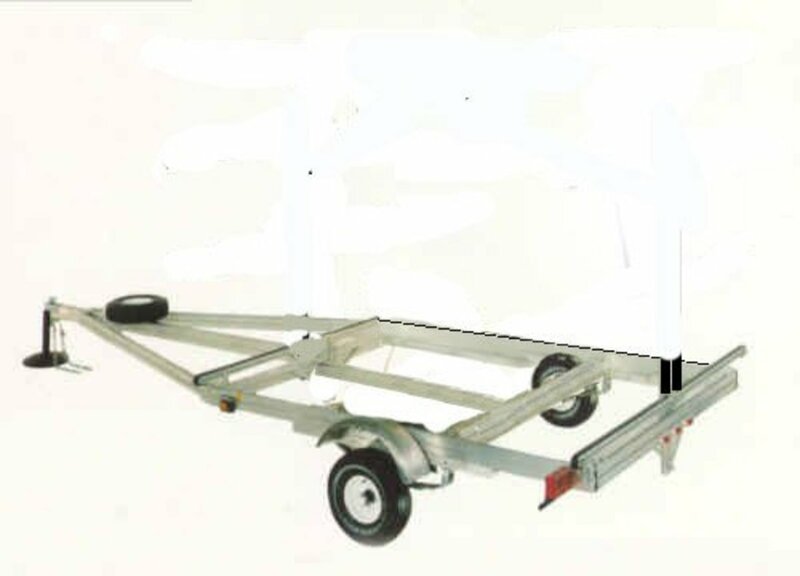 The facility has plenty of parking and a van will deliver you back to the starting point after you complete your journey down the river. If you love wildlife you will really enjoy this trip. The river winds its way through the forests and mangroves and there is plenty of wildlife to spot. 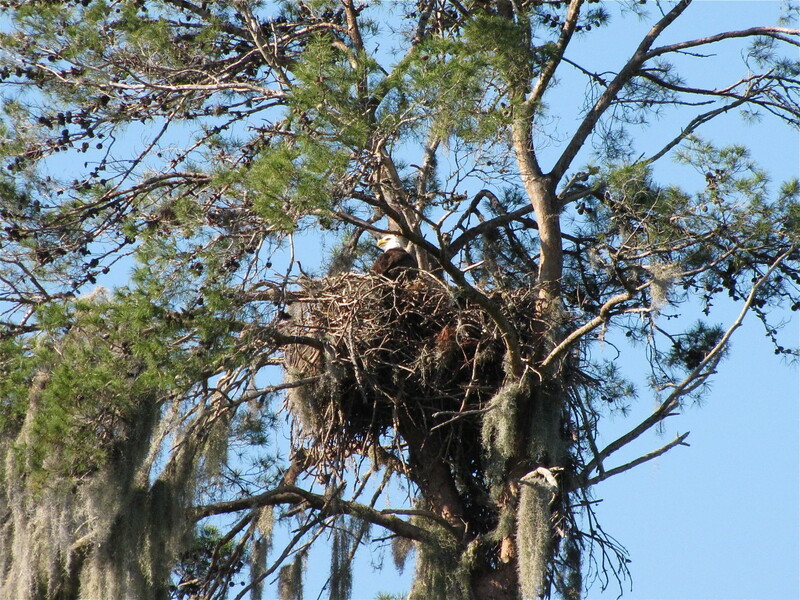 Just a few minutes into our journey we spotted a Bald Eagle sitting in it’s huge nest. What a great way to start the day. Depending on the season you will also undoubtedly come across manatee. Our first encounter happened just a half mile into the trip when we came across two manatees, a large adult female with her youngster. Not expecting to see a manatee this far up the river this was certainly an unexpected surprise. While the folks at Paddling Adventures did tell us that the river is home to an alligator or two we did not encounter one on our trip. There are river otters here also but we did not see them on our trip either. We did however see numerous schools of fish, turtles and other wildlife. In addition to spotting the bald eagle we also saw osprey, hawks, many turkey vultures, ibis, blue herons, egrets, butterflies, and numerous other species of local aquatic birds. Another unexpected surprise was seeing a large male deer at the rivers edge getting a drink. The highlight of the day, however, belonged to the beautiful manatee that we saw throughout the day. There is a place on the river near the end of the journey called the Hospital Hole that had upwards of ten manatees there. The Hospital Hole extends up to 140 feet deep hole in the middle of the river and is a popular location to spot a manatee. The name comes from the supposed healing powers of the water here that draws fish afflicted with parasites. On our trip through the Hospital Hole there were a few folks trying to swim with the manatee, which is not recommended. The manatee is a critically endangered species and attempting to get in the water with them is a no-no. It is illegal to harm or injure a manatee in the state of Florida. Seeing this many manatees in one location was certainly a wonder to behold. These large graceful creatures are endangered due to the high number of incidents with boats and today they are protected across the state of Florida. When a ten foot, thousand pound manatee surfaces right next to your kayak for a breath of air it’s hard not to be impressed and in awe of these amazing creatures. You almost get the feeling that they are coming up to check you out. 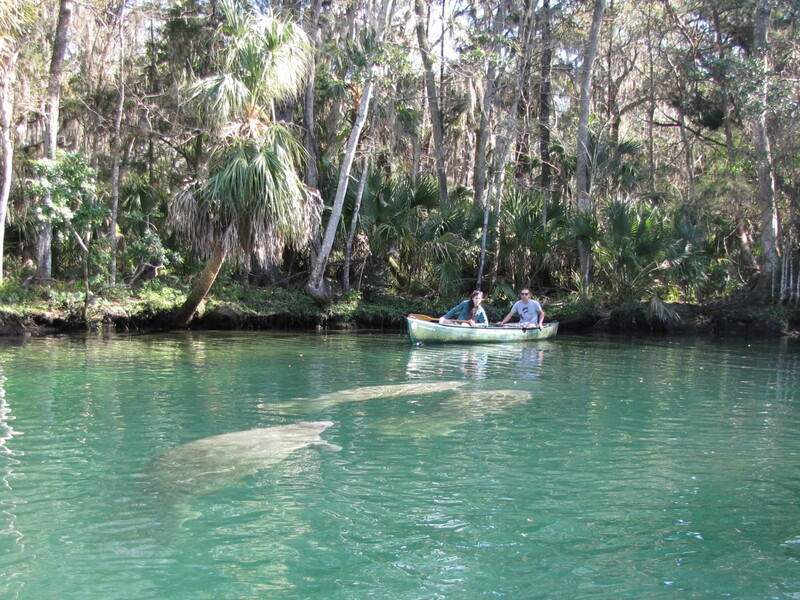 The manatee like the Weeki Wachee River because of its warm spring fed water. During the winter months the water temperature in the Gulf of Mexico can get down to the low to mid sixties while the water temperature in the river remains at a warm 72 degrees. Manatee, sometimes referred to as sea cows, are mammals and as such cannot survive in water below 60°F. Even prolonged exposure to water up to 68°F can cause extreme stress and death. This is why during the winter you will find manatee congregating in the warm spring feed rivers and also near the warm outflows of water generated by power plants. Our trip down the Weeki Wachee River took us about two and a half hours to cover the 5.5 miles. You can go as fast or as slow as you like but there should certainly be no hurry to rush through the trip. A nice leisurely pace will give you plenty of time to take in the wildlife and scenery. The only time constraint to be aware of is that you want to be at the pickup point at Rodgers Park by 3pm as that is the time the last shuttle leaves to bring you back to the parking lot and your car. If you are late they will charge you a $50 fee to bring you and the equipment back so make sure you plan your day accordingly. Be sure to bring water and snacks. 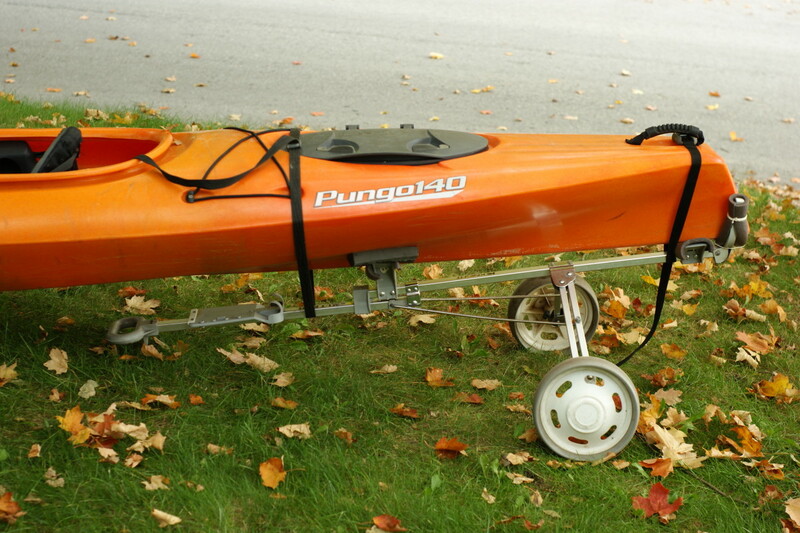 A small cooler will fit perfectly in the kayak or canoe. If you bring a camera, place it in a plastic zip lock bag when not taking pictures. Best to be safe than sorry. Don't forget the sunscreen and a hat. 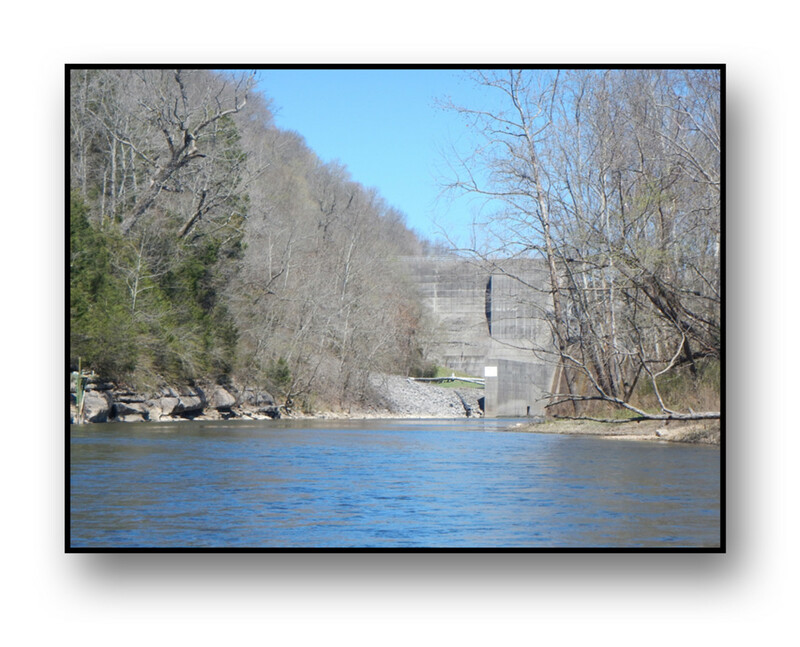 It is also recommended that you call ahead to reserve your canoe or kayak. While they have plenty on hand they can run out during peak periods and school breaks. A simple phone call to place a reservation will insure that you are not out of luck on the day you arrive. 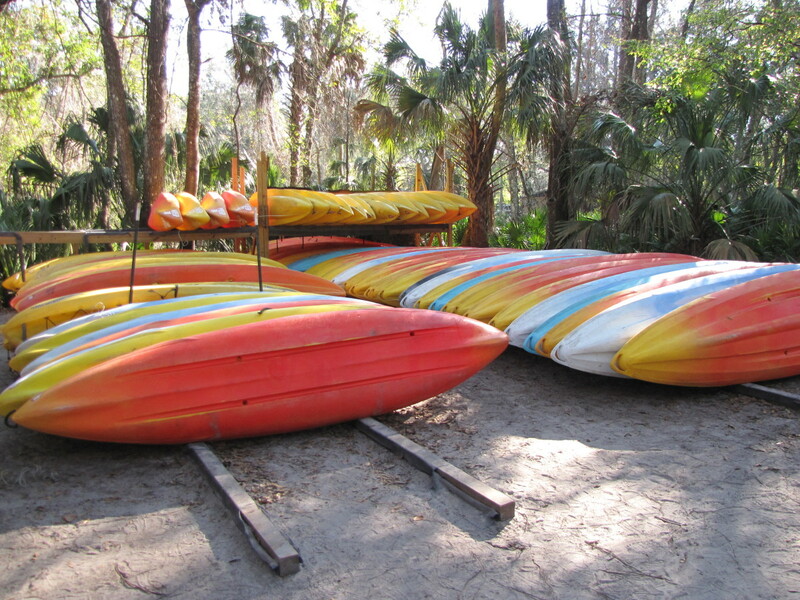 Kayak and Canoe Rental at Weeki Wachee Springs State Park in Florida. Please call (352) 597-8484 for more information. The cost for renting a single kayak is $30 and for a canoe or double kayak the fee is $35. The fee includes your paddle, life vest, and a ride back up the river to the parking lot when you have completed your journey. The launch window is from 8am until 11:30am and this is to make sure that everyone has plenty of time to reach the pickup point at Rodgers Park by 3pm. 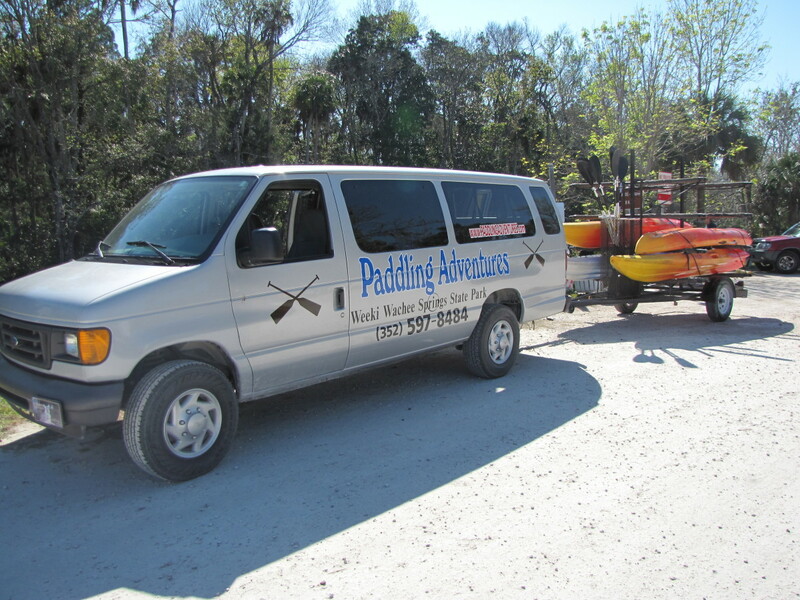 For something a little different on your next trip to the Tampa area check out Paddling Adventures. 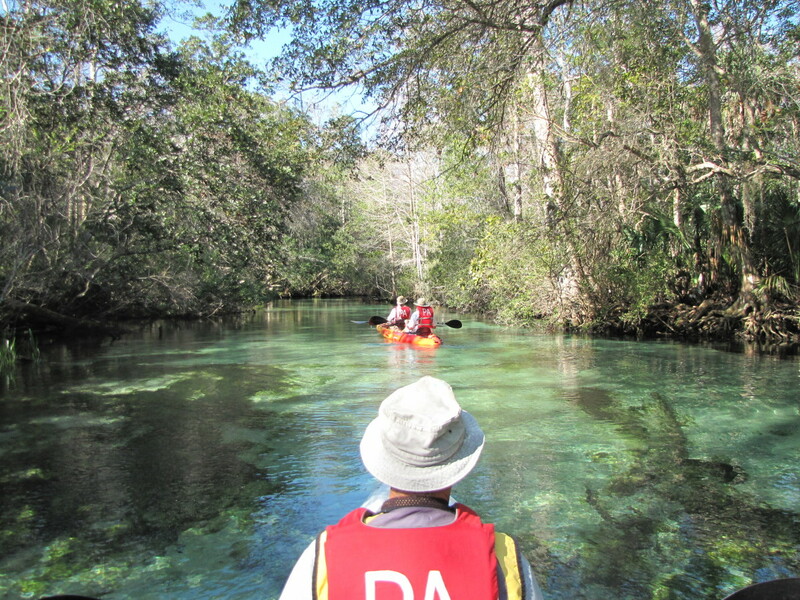 A kayak or canoe trip down the Weeki Wachee River is a great way to spend a day in the great outdoors while enjoying the best that Florida has to offer. Are there any bathrooms along the Weeki Wachee river? No, not that I recall. There are bathrooms at the pickup point, but nothing in between the start and end of the trip. Okay, thanks for the correction. Hi Janda. Thank You. I very much appreciate you stopping by and commenting. Whenever we are in the Tampa area we try to get out and discover a new area to kayak. Seeing the manatee up close on this particular trip was an amazing experience. Thanks again, have a great day. Bill, I just ran across this article and want you to know how much I enjoyed it. I've kayaked in many locales across North America (and a couple in New Zealand)--some peaceful like yours and some quite challenging, exhilarating, and even frightening. But kayaking is my favorite mode of transport and way of seeing the wildlife. I really enjoyed your descriptions of the encounters with the manatees. Lovely! Thanks for sharing! Hi Kristen. Thank you. We've been down the Weeki Wachee River a few times now and it never disappoints. 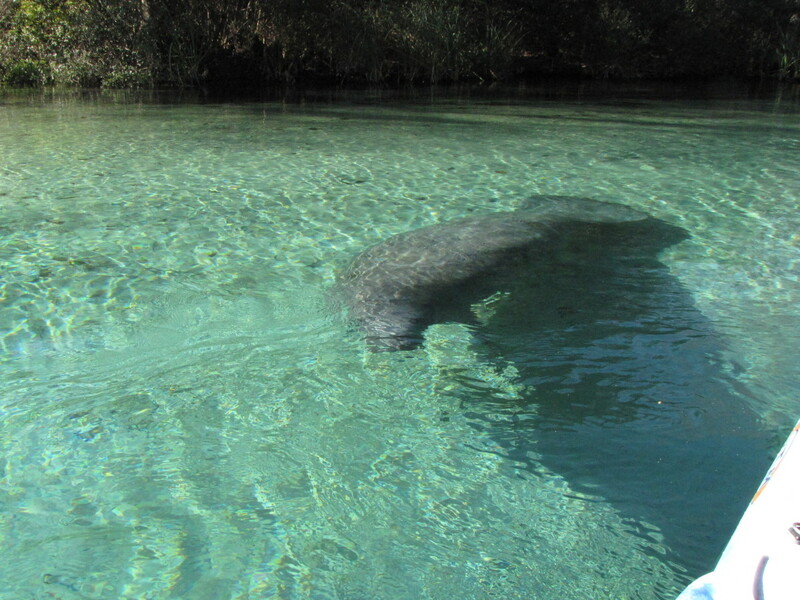 We have always seen Manatee and really enjoyed the trip. Thanks for the vote, have a great day. Sounds like a lovely trip to go kayaking down the river. Lovely photos too! Thanks for sharing. Voted up! I forgot to mention I have Pinned this to my travel board. Hi Mary. Thank you. Wasn't it a wonderfully relaxing and beautiful trip down the Weeki Wachee River? I can't wait to return and do it again. It really was the highlight of that trip to Florida. So glad it brought back fond memories. Have a great week. One of my daughters and I made this canoe trip down this river. This Hub brought back some fond memories. I took lot of photos, too, but none as good as yours. Hi ologsinquito. It really was fun, we had a great day and seeing the manatee was a wonderful experience. If you ever find yourself in Florida give it a try. Thanks again, have a great week. Hi Monis Mas. Thank you. The water really is that clear, just amazing. It was a great way to spend a day. Thanks again, have a great day. Hi Dolores. We made the trip in February so anytime really in the winter is fine as long as it's a nice day out. I would imagine late fall or early spring might also be fine. For me summer would be too hot although a dip in the river would feel great. Thanks for visiting and commenting, have a great week. Hi Audrey. If your ever in the area pay them a visit. It makes for a very relaxing and enjoyable way to spend a couple of hours. And seeing the manatee was the icing on the cake. Thanks so much for the votes, share, etc. Hi RTalloni. They are amazing creatures. So graceful and friendly. 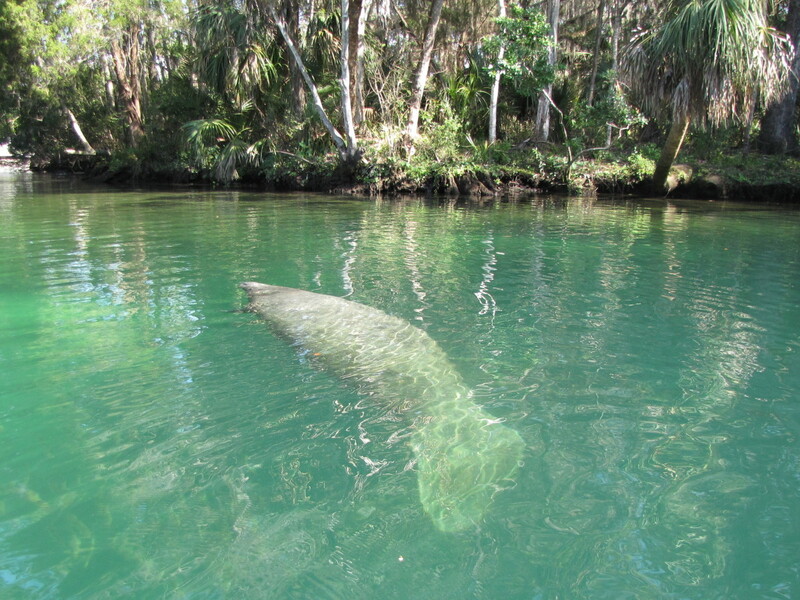 The clear water of the Weeki Wachee was beautiful and made seeing the manatee so much easier. We look forward to getting down there again next winter. Thanks for stopping by, have a great day. This looks like so much fun! That crystal blue water is amazingly clear. I want to do this sometime. Gorgeous photos! Water looks amazing. And it appears to be a lot of fun! Just beautiful! I love the clarity of the water and would love to see the abundant wildlife. I imagine this is a trip best made in late winter? I can hardly believe how crystal clear and beautiful the Weeki Wachee river is. I would love to go kayaking here. Great photos! The opportunity to enjoy the river should never be missed. Your photos are beautiful, really showing off the unbelievably clear waters. Manatee's presence, size, and habits are awe-inspiring. They really are amazing creatures and it is a privilege to get to see them first hand. Remembering how we used to jump in Florida's rivers to tube for hours or to swim in Central Florida's lakes that were surrounded by wilderness (now, not so much) made me shiver when you mentioned the alligators as we never thought much about them back then. Hi Bill, you can see from your fabulous photos how clear the water is! I am envious, I would love to visit! this was the next best thing, thank you! Hi Pavlo. I did not expect the water to be so clear either. The folks at Paddling Adventures told us it's because the water is coming from an underground spring, and the river is only 12 miles long so it doesn't have time to muck up the water. It was amazing. Thanks for the visit. Hi Linda. 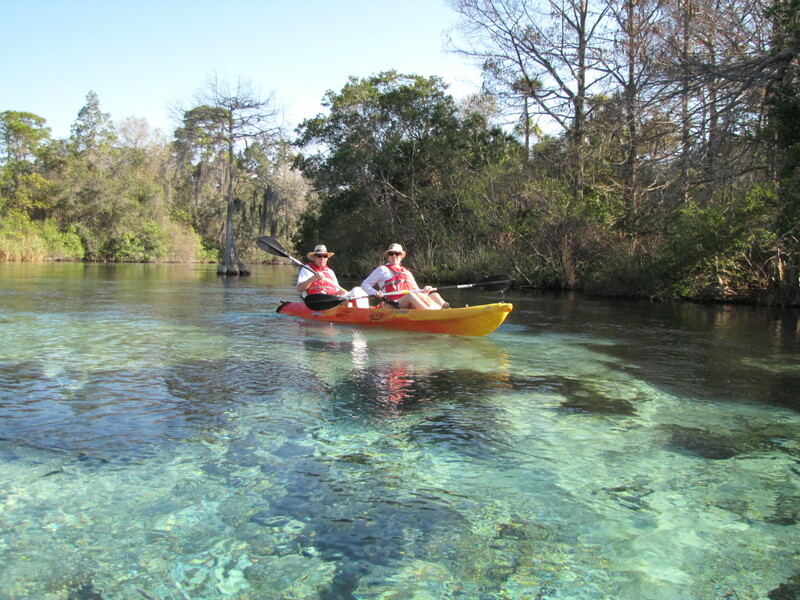 The water is spectacular in the Weeki Wachee River. This was our first trip down the river and we loved it. Can't wait to go back. Fantastic review of the Weeki Wachee River. I've been there a few times since I've lived in Florida and the water is spectacular. I haven't been to the water park yet. I'm due for a trip there with the grand kids. Hi Glimmer Twin. You are correct. Weeki Wachee also has a mermaid show and I believe a water park, maybe. 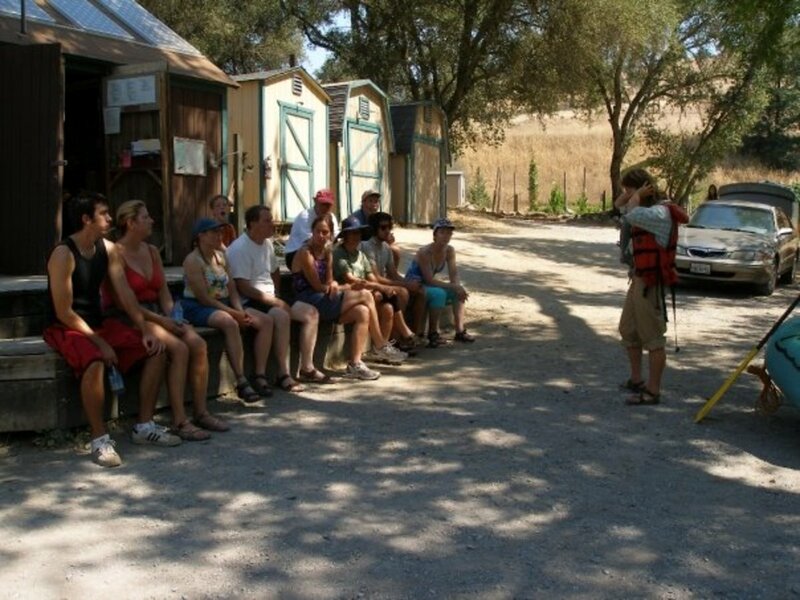 Paddling Adventures is located right next door to the facility. If you love the outdoors then you will definitely love this. What a great day we had; 78 degrees, bright blue sky, lots of manatee and other wildlife. And now I'm back here in New England digging out 2 feet of snow. Oh well. Many thanks for the vote, share, etc. Have a great day. This is my kind of day. This looks so beautiful and I love Florida. Doesn't Weeki Wachee Springs have a mermaid show or something like that? I remember reading something like that. Awesome up and shared. Your photos are incredible and what a day you had. Thanks for this hub! Hi Pam. I think you would enjoy it. It makes for a very relaxing day and seeing the wildlife was just amazing. Give it a try sometime. Thank you for stopping by and taking the time to comment. Your kayaking adventure looks like so much fun. I love to see wildlife and your pictures are great. Since I live in FL it would be a nice weekend trip for us. Awesome hub! Hi Mary. You are much too kind but I thank you for the compliments. Wish I were down there now so I would miss whatever is heading our way for Friday. Too be honest I was a little worried about bringing my camera with my while kayaking. I put it in a zip lock bag while I wasn't using it and was very careful when I had it out. I really wanted pictures of the manatees so it all worked out. My thanks as always for your support. Hi Peggy. Thanks for stopping by. I will add a link to your two hubs here, thank you for doing that. It was very, very neat to see the manatees up close and personal. We really enjoyed this little adventure. 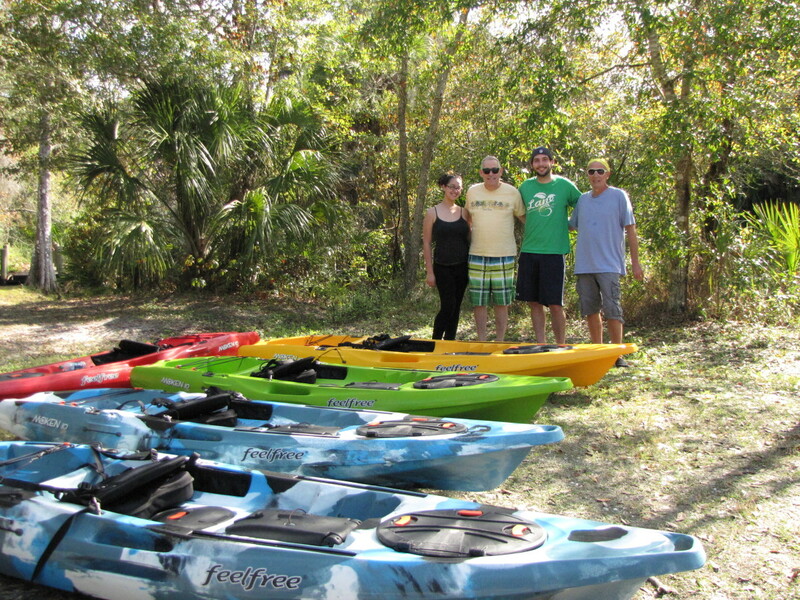 What a fantastic way to spend a day in Kayacking the Weeki Wachee River. Am going to add a link from this hub to mine titled Vintage Postcards showing Underwater Mermaids in Weeki Wachee, Florida. I have also written a hub about the manatees. Seeing them the way you did was certainly about as close as you can get! Voted UUBI. Would have shared but this hub is obviously still in pending. Will have to come back to do it later. Hi Suzie. Yeah, I was in all my glory with eagles, hawks and osprey all over the place. And seeing the manatee up close was really special. It all made for a great day, we really enjoyed this trip. Sounds like something you might enjoy also. As always thank you for the support, vote, share, pin, etc... You know I appreciate it. Stunning pics, absolutely gorgeous. What an fabulous trip to take, kayaking down such clear turquoise waters and to have the precious manatee as companions!! They must have been awesome to see up close. This is definitely something i would love to do!! I have dome white water rafting in Turkey and it was just an adrenalin rush and full of amazing sights on the journey. An entire day was spent rafting and this trip in Florida would be a great thing to experience too. Excellent job my friend, so much to see in wildlife too, you must have been in your element with the bald eagle, ospreys and hawks! Votes across the board, shared and pinned!!! Hi Bill. We really enjoyed this and it was amazing seeing the manatee. On previous trips we have seen alligators, which can be a little unnerving. In all of our trips out to Washington State we have never kayaked out there. We'll have to make it a point to do that on our next trip out that way. Enjoy the rest of your Sunday. Now that would be very cool! Talk about warm river water. Unbelievable. Seeing manatee would also be exciting. 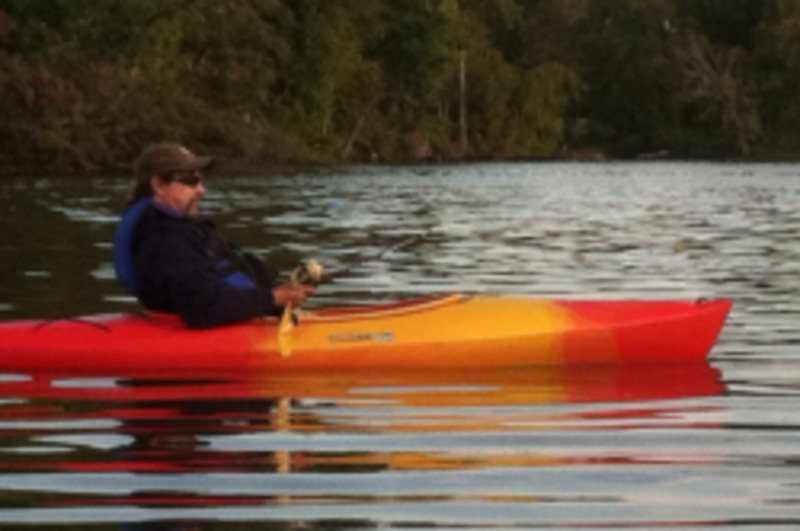 We have done a lot of kayaking here but almost always on the Puget Sound. Seals and an occasional whale sighting are the highlights for sure. Hi Carol. We make it a point to go kayaking every time we are down in Florida. We just love it. So relaxing and being out in nature and seeing the wildlife just always makes it a great day. The manatee were amazing. Luckily we didn't see any gators, this time. Many thanks for the VU, pin, etc. We used to kayak in Florida almost everyday..right outside our doorstep..the bayou. This looks wonderful and so tempting..makes me miss kayaking... I don't miss the occasional aligator. Great hub with great photos...Up and pinning.